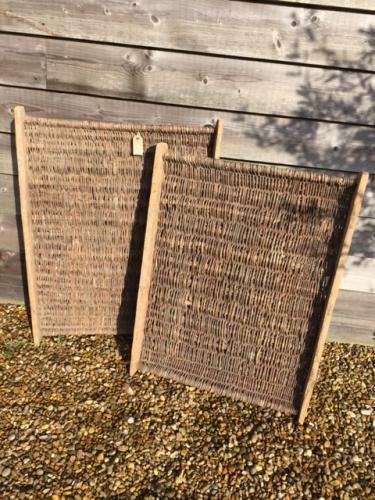 Pine and Willow woven fruit carriers used to carry and store apples and pears etc. Very unusual and in good condition these undulating trays allowed fruit to be carried or stored without the fruit touching or rolling over. Wonderful textured items that would look great on an old barn or restaurant wall. Two in total.